Dr. Anthony Brooks is Associate Professor at Aalborg University, Denmark where he is director/founder of the ‘SensoramaLab” (Virtual Reality, HCI and Playful Learning Complex) and a founding team-member of the Medialogy education wherein he is now a section leader, lecturer, coordinator, supervisor, and study board member. Originating from Wales, born into a family with disabled members, at an early age he invented ‘alternative solutions’ for adaptive accessibility and ‘control”. 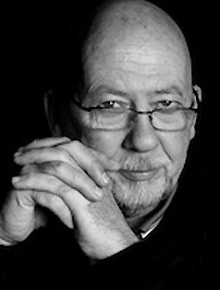 In the 1980s he created bespoke instruments and volumetric invisible sensing systems for unencumbered gesture-control of digital media to stimulate meaningful causal interactions that could be tailored to individuals, their needs, preferences and desires alongside the outcome goals of facilitators, therapists, educators etc. A goal was to create adaptable playful, enjoyable, and fun creative experiences for end-users that optimised motivation in participation to increase compliance and adherance to transdisciplinary intervention programmes e.g. in rehabilitation, healthcare wellbeing, quality of life, learning/education, play, entertainment, recreation, and more: Societal impact was targeted. He was the first artist in residence at the Centre for Advanced Visualisation and Interactivity (CAVI) at Aarhus University, Denmark at the end of 1990s originated the ZOOM model (Zone of Optimized Motivation) for in-action intervention and on-action analysis and assessment /refinement. He has approximately 200 publications. His research is responsible for – sizable externally funded national and international (European) projects, a serious-games industry start-up company, and a family of patents resulting from the evolved method and prototypes, e.g. US6893407 “Communication Method and Apparatus”. He is acknowledged as a third culture thinker and “world pioneer in digital media and its use with the disabled community”. He is an active keynote speaker at international events and has presented globally. He is an ambassador for accessibility and is Danish representative for UNESCO’s International Federation for Information Processing (IFIP) Technical committee (WG14) on “Entertainment Computing” – specifically under work groups WG14.7 “Art and Entertainment”; WG14.8 “Serious Games”, and WG 14.9 “Game Accessibility”. He works with the European Commission as EU expert examiner. This SDF plenary keynote briefly introduces the speaker’s research and development that was considered pioneering at a time when adaptive non-invasive sensor systems mapped to digital multimedia as real-time biofeedback to stimulate human responses through gameplay and creative expression were used rarely in the fields addressed. ‘Afferent-Efferent neural feedback loop closure’ via tailored design of Virtual Interactive Space through the applied system was catalyst. The talk relates how many scoffed at the early-bespoke work without witnessing this human-centered ‘Virtual Reality’ application in e.g. rehabilitation, education, and other experiential and ‘training’ contexts. Yet, sponsorship by IBM followed the speaker’s presentation to the company’s Scandinavian Vice Director alongside the head of Corporate Social Responsibility, who subsequently arranged a personal viewing by Vice President, IBM International Foundation at Corporate Headquarters, Armonk, New York, given by the speaker. As a result, global showcase events over many years included IBM linked cultural, scientific, and business events held as a part of e.g. the Olympics/Paralympics, European City of Culture, and more via IBM global. These showcases around the world highlighted the trans-disciplinary concept and societal impact through such applied use of digital technologies targeting human well-being. Video examples of showcases will supplement the talk. The second part of the talk will introduce parallel analogies to contemporary innovations that question what Smart Digital Future(s) are ahead – the good, the bad, and the ugly! Anton Nijholt has interest in human-computer interaction, playability, entertainment computing, humor research and brain-computer interfacing. 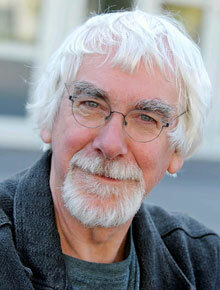 He is author of hundreds of research papers in these areas and wrote and edited several books. He has been program chair or general chair of many international conferences and workshops devoted to affective computing, virtual agents, computer animation, faces & gestures, computational humor, entertainment computing, playable cities, and brain-computer interfaces. Nijholt is chief-editor of the specialty section Human-media Interaction of Frontiers in Psychology and he is series editor of the Springer Book Series on Gaming Media and Social Effects. Recent edited books are “Brain-Computer Interfaces Handbook: Technological and Theoretical Advances” (CRC Press, Taylor & Francis) and “Playable Cities: The City as a Digital Playground” (Springer). Digital technology can make cities smart. City managements can make use of information that can be extracted from databases in which data is collected about energy consumption, traffic behavior, waste management, human behavior in public environments and opinions of the general public, for example as they can be collected from social media. But can this digital technology and the data collected from it help to make living in a city more enjoyable? How can digital technology and information provided by digital technology make cities playful, allow citizens to engage in playful and entertaining activities that help to enjoy their daily and sometimes boring activities such as commuting, working, career and social obligations, housekeeping? In this talk we investigate how sensors and actuators in an urban environment can be introduced and used to design playful applications. We discuss how ideas about playable cities have developed and pay attention to the criticism of the concept of playable cities that has emerged in recent years.